After returning home from all the February festivities, I found there was still quite a bit of food in the freezer. That must be used. Right away! Want to give monthly meal planning a try?!? 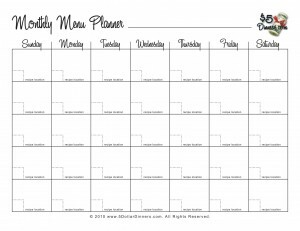 Print a free monthly meal planner! so organized :::sigh::: I can only get about 2 weeks out or else I start changing my mind too much 🙂 Looks like a great month! I ordered your cookbook through Amazon and I tell you it is a great book. I had no idea that you had included all those ideas about couponing and saving money. I dont know how in the world you had time to write this book and do your blogging and be pregnant and raising two boys plus a husband. You are a super woman and I love you. I have been looking everywhere for a vegetable gumbo & rice recipe. I cannot wait for this one. We had an excellent one in Disneyland and I have been craving it ever since. I am also looking forward to Black Bean Fajitas and Corn. Both sound delicious. I love it when you share vegetarian meals done right! You have been such an inspiration to me and I have learned so much from you on how to save money. I have a family of 6 and groceries are expensive! Thank you for doing this. You do make a difference! I wish my menu had as much variety as yours does! Dh is my picky eater, and really I won’t cook two meals, talk about a bad example for the kids if I did! I’d soon be a short order cook. So I have a rather short list to pick from. Love your blog and reading about what normal people eat:D plan some hubby won’t be home meals from them, LOL. I have been following your blog for a while, but since I decided to do a monthly meal plan this month I thought it was time to comment! it’s hard work! It’s just my hubby and me, but i’m doing it so we can (hopefully) save some money! Thanks for this great blog!